Everything Beautiful and beyond was recently asked to review the EBook on Green Smoothies and the 50 amazing recipes it came with. I was really amazed by this book. I normally drink smoothies and really like them. However I noticed that many places that sell smoothies are loaded with sugar, syrups and all sorts of unhealthy stuff that for me might as well deem it as a milkshake. This EBook is broken up into eight chapters. These chapters explain about how to make your smoothie and what vital ingredients that are necessary to actually make them healthy. A lot of people tend to shy away from green smoothies in fear of them being not so tasteful. Nonetheless the recipes in this book were rather delicious, simple to make and didn't cost a massive penny. For many of these smoothies, you can use yogurt and natural sweetener in order to soften the taste if they are to tart or bitter for you. However I found the majority of them to be just right. I normally like to add honey, brown sugar or birch sugar if needed. I try to stay on the natural side to sweeten my drinks. I also used organic honey, yogurt, as well as fruits and vegetables that have soft skins. Nonetheless its not necessary to use organic anything, but I rather prefer it. This smoothies are also great in fat and calorie content and have good protein value which can be found in the book at the bottom of every smoothie recipe stated. For many like myself the nutritional value is always a concern and being pregnant; it matters to me. I found with these smoothies they were good to detox with if you had one a day. Since these help to clean out the liver, I really felt great with trying out and drinking a new one daily. 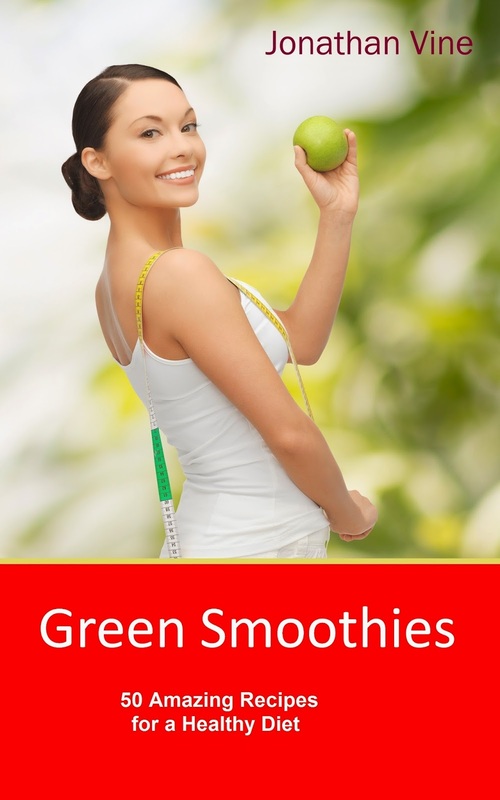 This book comes with 50 simple recipes you can try out to make green smoothies and even give you alternatives in regards to switching out some fruits/vegetables if you want a totally different taste! Finally this book is purely vegetarian and also great for those who follow a Kosher or Halal diet as no animal products are used to create these smoothies! I would total recommend this book if you are into green smoothies or just are looking to make healthy smoothies in general! !